1. Native land birds and waterbirds which occasionally visit islands where they do not breed. 2. Black-naped tern which is resident at coral islands but occasionally visits the islands of the Seychelles Bank. Yellow Bittern Ixobrychus sinensis breeds on Mahe, Praslin and La Digue, with a total population of less than 100 pairs. Seychelles is the World's most westerly population and the only one outside the Asian-Pacific region. 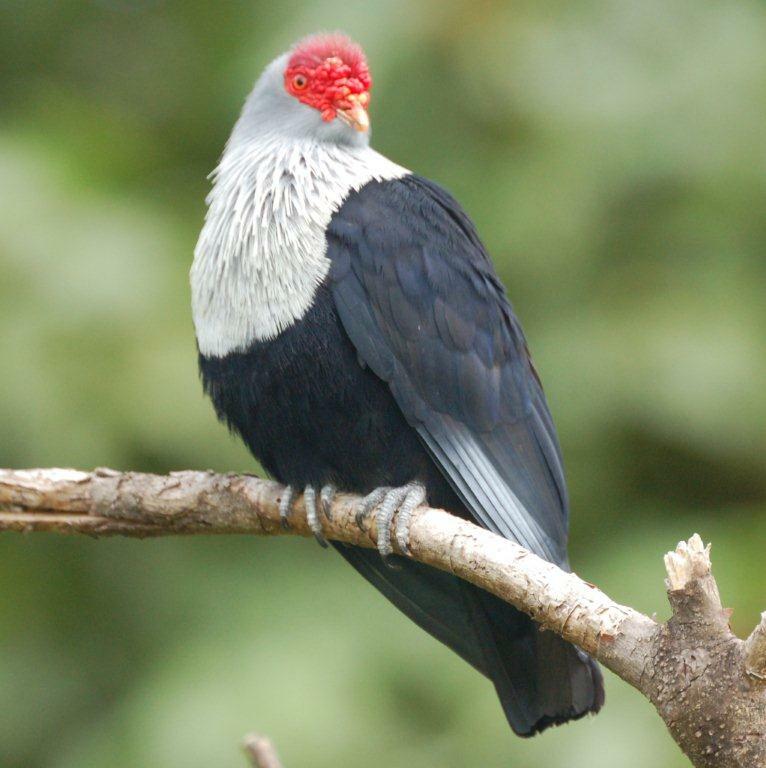 Birds of Seychelles have no special characteristics and it has been presumed colonisation is recent event on the basis of similarity to Asian birds. However, given the long distance migrations of some populations there may also be some continued inward gene flow from Asian vagrants. Yellow Bittern has been recorded as an out-of-range visitor to Aride, Curieuse, Cousine, Bird and North. Black-crowned Night Heron Nycticorax nycticorax was unrecorded in Seychelles until October 1992, when an immature bird was seen at Victoria mudflats. There were further sightings at Roche Caiman, Mahe in 1993 and 1994. Birds have been continuously present at Roche Caiman since November 1995, where they have bred. Since then they have spread to other islands, with breeding recorded on Silhouette, Cousin, La Digue and in the Amirantes at St Joseph. There have also been out-of-range sightings at Aldabra, Aride, Frégate and North, considered out-of-range, at least at present. This is the only known natural colonisation of Seychelles by any species of bird from outside of the country since the arrival of humans in 1770. Black-naped Tern Sterna sumatrana breeds from the western Pacific to the western Indian Ocean. Seychelles lies at the western limit of this range but holds almost the entire African regional population. In Seychelles, Black-naped Tern is known to breed on Aldabra, African Banks, St. François Atoll, St. Joseph Atoll, Cosmoledo, Farquhar and possibly Bancs Providence. The population has been estimated by Adam, Skerrett & Rocamora to be 125-205 pairs. SBRC collects reports of Black-naped Tern from east of the Amirantes. Black-naped Tern has been recorded out-of-range from Bird (2 records), Aride (2 records), Cousin (1 record)and La Digue (1 record). Comoro Blue Pigeon Alectroenas sganzini minor is an endemic race confined to Aldabra. It was probably once found throughout the Aldabra group. In April 2012, Chris Feare reported the first sighting outside of Aldabra for more than 100 years on neighbouring Assumption. It may also have been this race recorded by Captain Fairfax Moresby at St Pierre and Providence around 1822, "a species of small blue pigeon are in great abundance and so seldom disturbed that they do not fly at Man's approach, but are knock'd down with Sticks, we found them excessively good eating, these birds build and nest on the Pisonia tree and other dwarf trees which cover the surface of the islands". Nothing further is recorded of their existence. Seychelles Fody Foudia sechellarum is endemic to the granitic islands where it is found on Cousin, Cousine, Frégate, Aride (reintroduced 2002) and Denis (reintroduced 2004); there is also an introduced population in the Amirantes on D'Arros. Single birds have been recorded once on Bird Island in 1976 and twice on Aride in 1990-1995, prior to reintroduction. 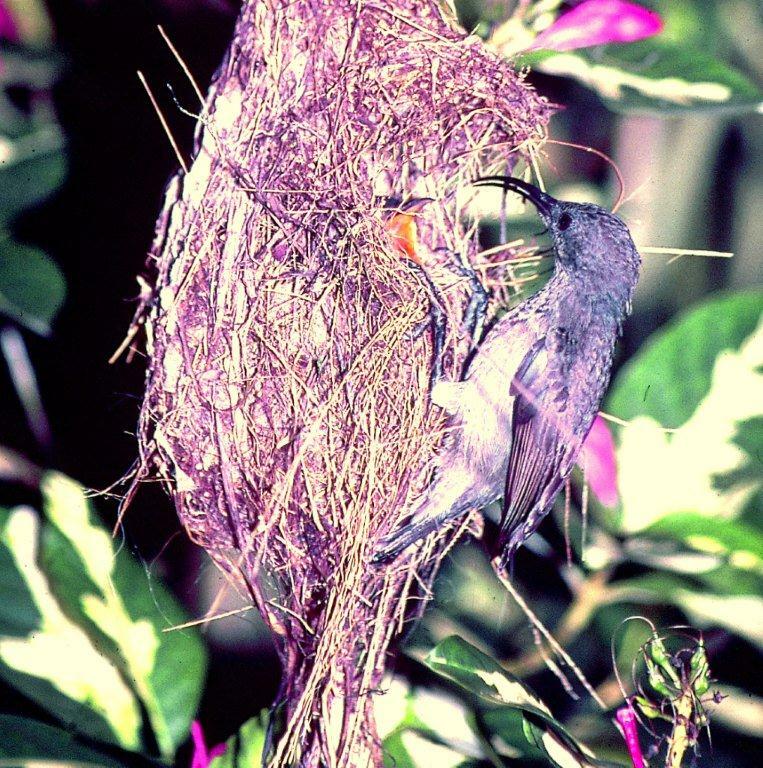 Seychelles Sunbird Nectarinia dussumieri is endemic to granitic islands, resident on all larger islands. It re-invaded Aride by natural means, where there were sightings of individuals throughout the 1980s but no evidence of breeding until 1992. It is recorded as a visitor to Denis and may be in the process of natural colonisation. Seychelles Blue Pigeon Alectroenas pulcherrima has naturally recolonised Curieuse during the 1980s, Aride and Denis during the 1990s and Bird Island in very recent years where it was first recorded in September 2006 with the first recorded breeding record in Oct-Nov 2009. 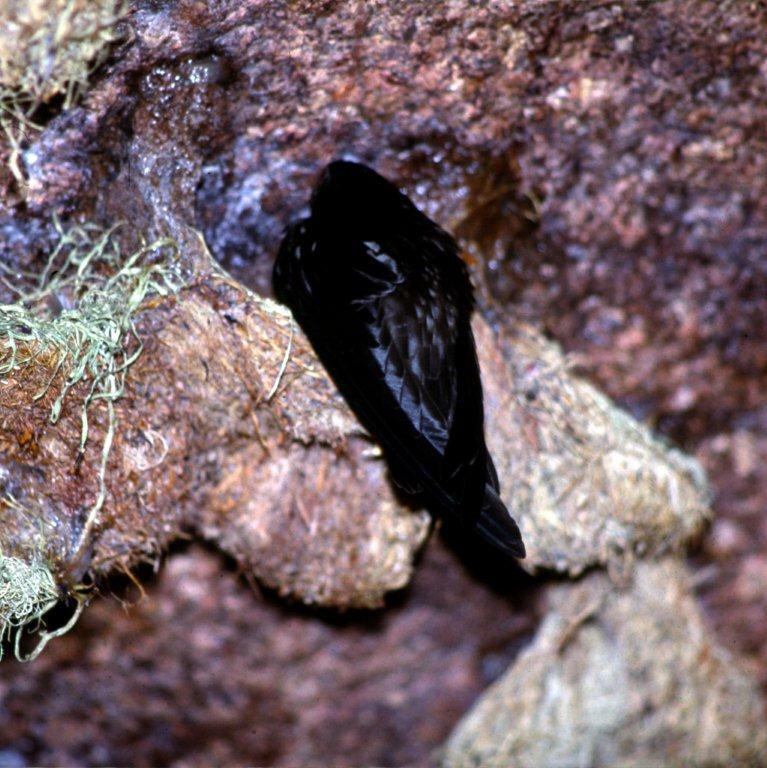 Seychelles Swiftlet Aerodramus elaphrus is endemic to Mahé, Praslin and La Digue and was formerly recorded on Félicité. it has been recorded as an out-of-range visitor to Aride, Silhouette and North.